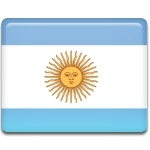 Day of the First National Government is an Argentine public holiday celebrated on May 25. It commemorates the May Revolution of 1810 and the establishment of the country's first patriotic government named the Primera Junta. The May Revolution was a series of events in Buenos Aires, capital of the Spanish colony known as the Viceroyalty of the Río de la Plata. The revolution began on May 18, 1810 and lasted for a week, resulting in the deposition of Viceroy Baltasar Hidalgo de Cisneros. On May 25, the revolutionaries established a local provisional government, the Primera Junta (First Assembly). It initially included representatives from only Buenos Aires. On December 18, 1810, delegates from other provinces of Río de la Plata were incorporated into the government, and the Primera Junta was replaced by the Junta Grande. The May Revolution has been commemorated since its first anniversary in 1811. May 25 is one of the country’s two national holidays together with Independence Day celebrated on July 9. It is an immovable non-working holiday. The major celebration is held in Buenos Aires, the capital and largest city of Argentina. During the Argentina Bicentennial celebrations held in 2010, May 25 became the most attended public event in the history of Buenos Aires.